For the second time since the release of the first PlayStation 3 in 2006, Sony has tinkered with the size and speed of the games and entertainment console, and has today announced a new PS3 to be available in later this month. On offer in Australia will be a 500GB hard drive model, selling for $399.95 RRP, and a 12GB flash drive model, for $299.95. Yes, you read that right, 12GB, that’s TWELVE GIGABYTES flash memory. So it will be quick, and full of… game? If you want to, you know, have a PS3 that will actually contain more than your forced collection of 8-bit games to fit on the 12GB flash drive model, then you can pop on the new PS3 accessory, a dedicated 250GB HDD. Oh, except that “When using dedicated HDD, flash memory cannot be used as inner storage.” The 12GB PS3 is selling in Australia, NZ and Europe, while the US and Japan are going with 250GB and 500GB versions. I do not for the life of me know why anyone would not just spend the extra $100 and buy the 500GB PS3 in the first place. You’ll know which one in store is the 12GB model. It will be the one covered in dust, with a sun- and light-bleached box. 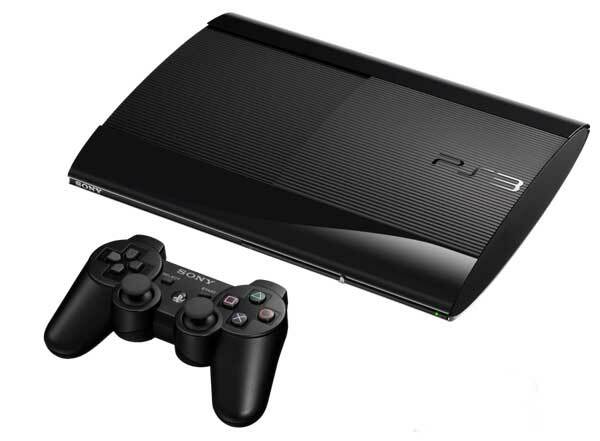 As happened in 2009, new design and components has enabled Sony to further reduce the weight and volume of the PlayStation 3, by 20 and 25% respectively on the new models. Sony has also re-introduced the sliding disc cover into this new PS3 range. The 12GB PS3 will be on sale September 27, at $299.95 RRP. The (sensible) 500GB PS3 will be available the next day, September 28, at $399.95. Right before the AFL and NRL grand final weekend.